> SmartFocus > Beat your competition in the mobile marketing world – expert tips you can’t afford to miss. Maximizing the success of all your marketing campaigns is every marketers dream. 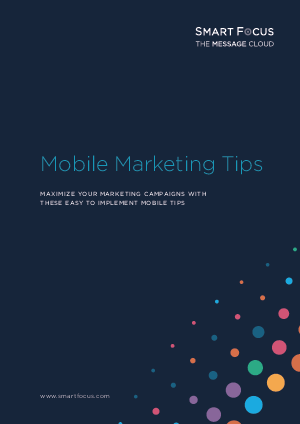 With 52% of website visits being made via a mobile device, it’s crucial that you have implemented mobile optimization across all your campaign components. Whatever the message, whether its personalized content on a webpage, mobile push message, proximity alert or an optimized email, all are more likely to be received and viewed on a smartphone. How does your website and emails look across different devices? Do you need to change the content of your email depending when your customer opens it and where they are when they open it? How do you prevent showrooming and promote webrooming? Read our easy to implement tips to make sure you have the mobile competitive edge.